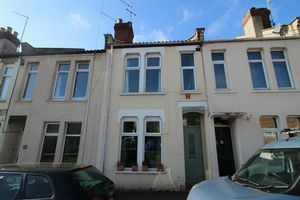 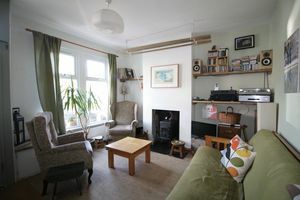 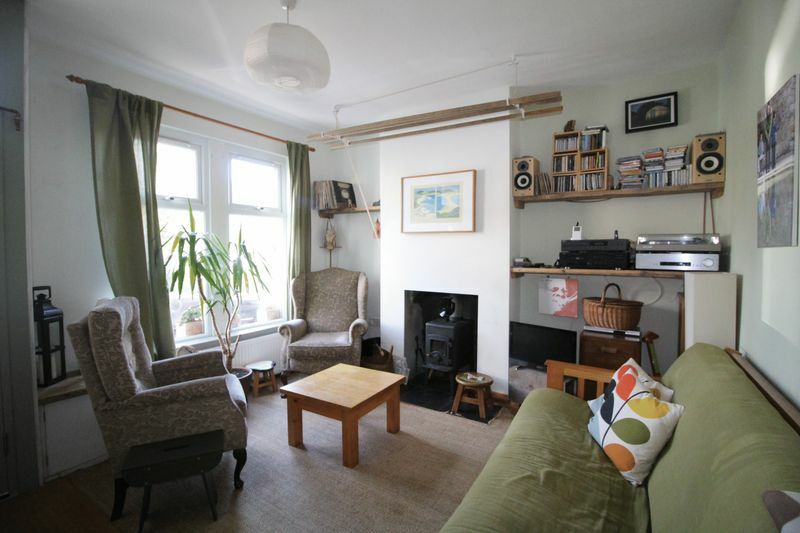 This beautifully presented mid-terrace Victorian property has been well-maintained by the current owners, whilst enjoying period features, there are modern practicalities such as gas central heating and double-glazed windows. 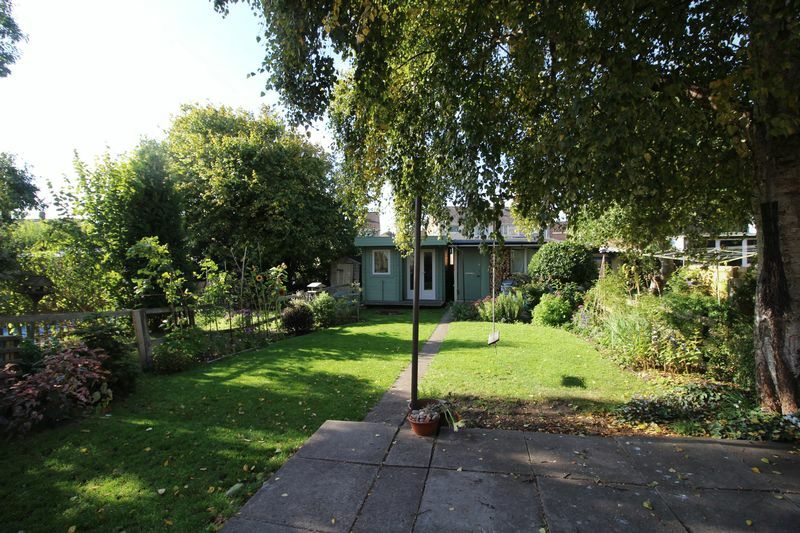 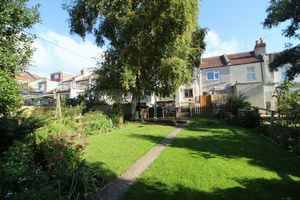 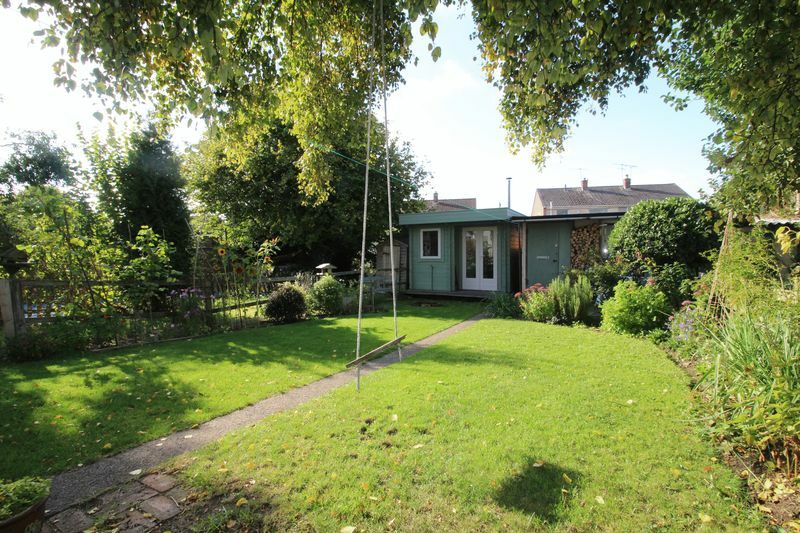 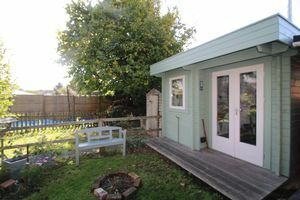 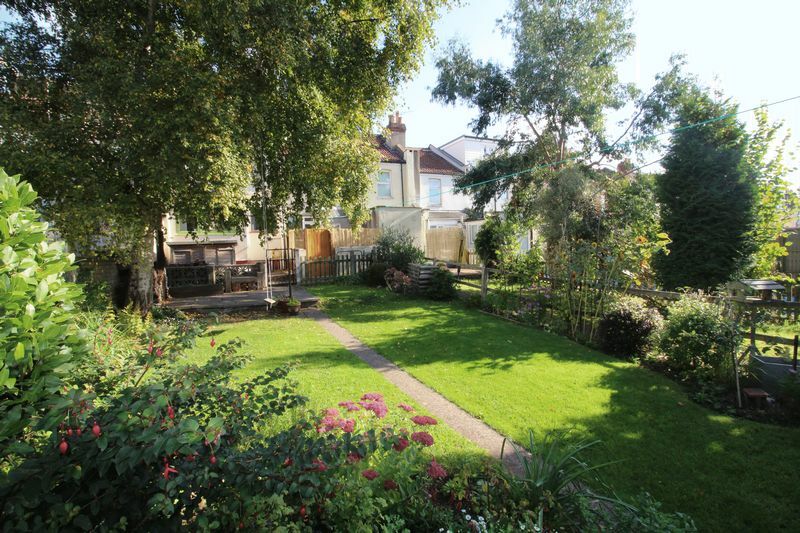 One noticeable benefit against all other houses in the vicinity is that this property has a double width rear garden which is level and faces south-west enjoying plenty of sunshine. 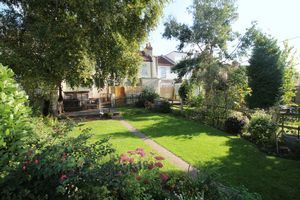 The landscaped garden enjoys a water and power supply, mature shrubs and well-tended to borders and patio area ideal for outdoor entertaining. Furthermore, in the rear garden there is a wood store, useful block -built garden store as well as a detached timber-built cabin with power supply, water supply and its very own wood burning stove. 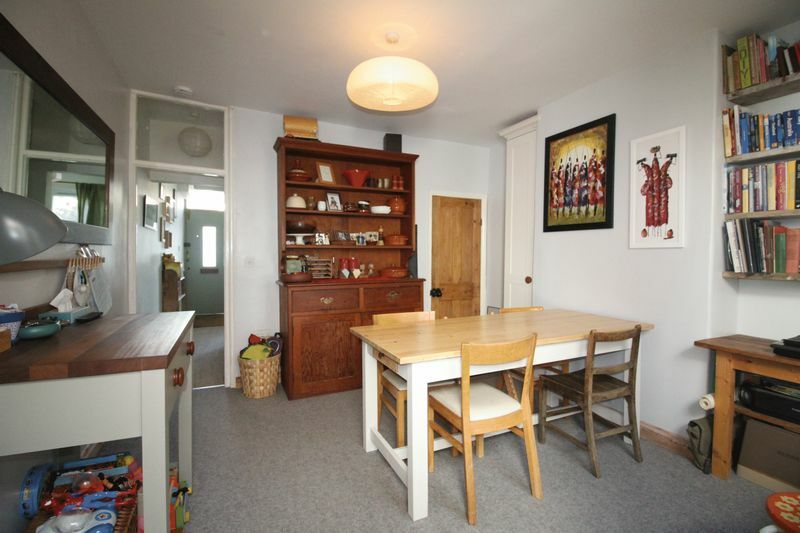 This is perfectly set up for a home office or ancillary accommodation. 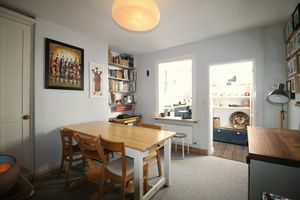 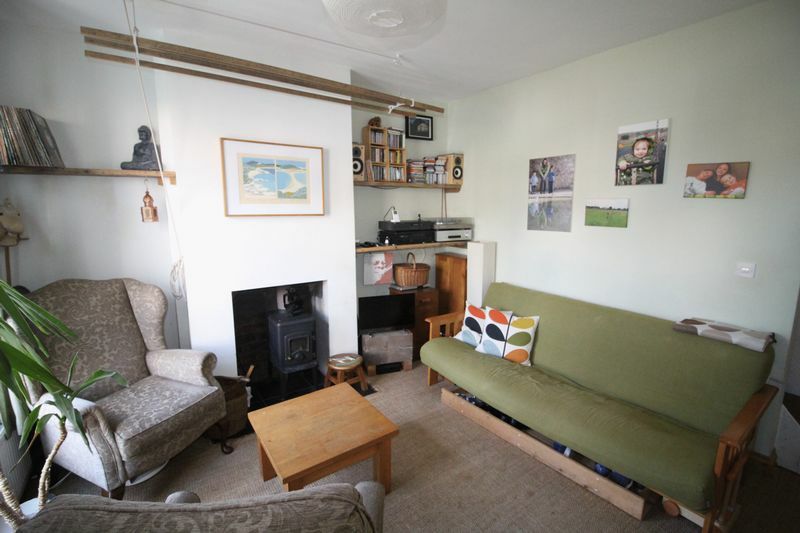 Internally the property includes a sitting room with wood burner and a dining room with walk-in under-stair storage. 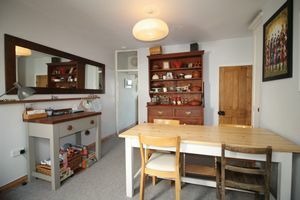 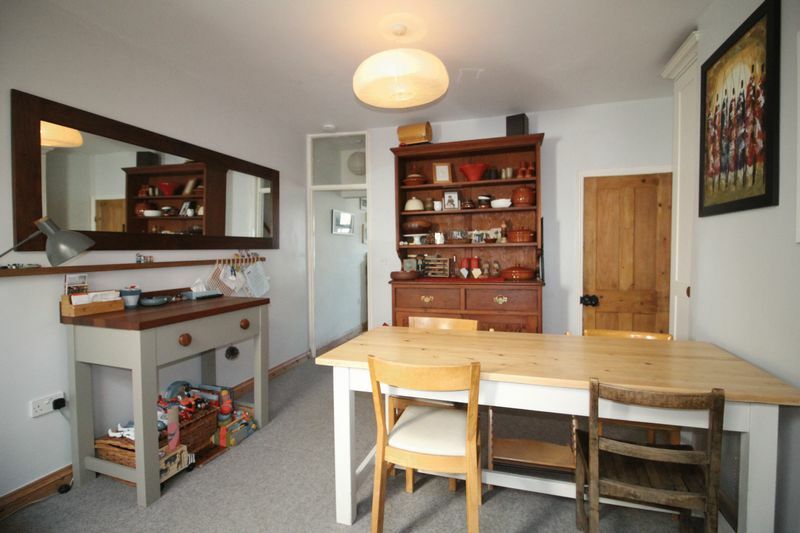 The dining room opens to a newly fitted kitchen with oak floorboards and large double-glazed skylight window above. 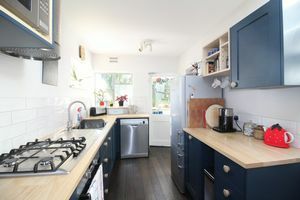 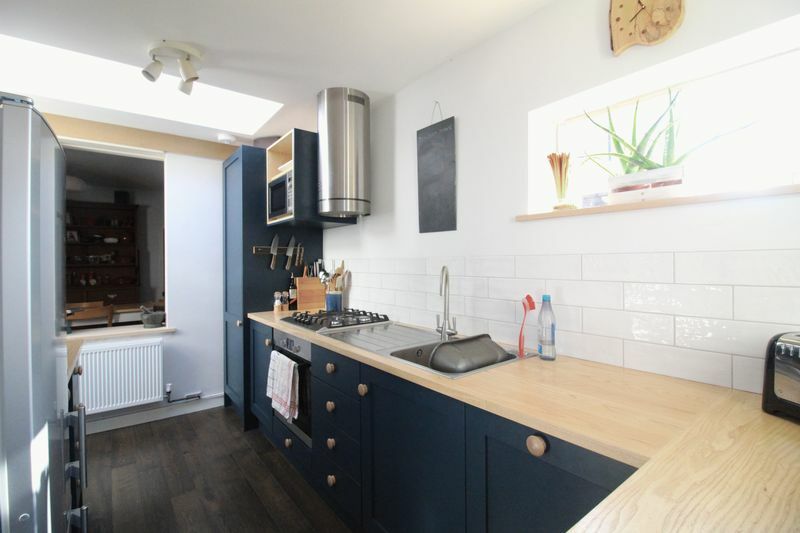 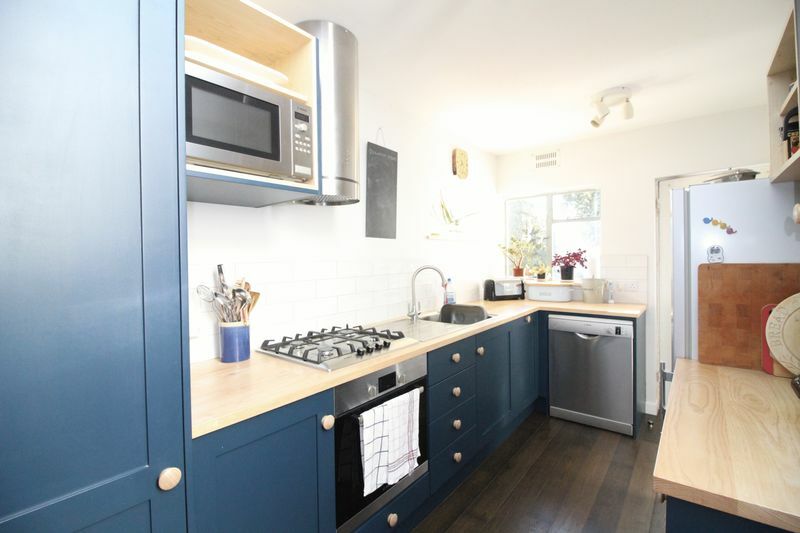 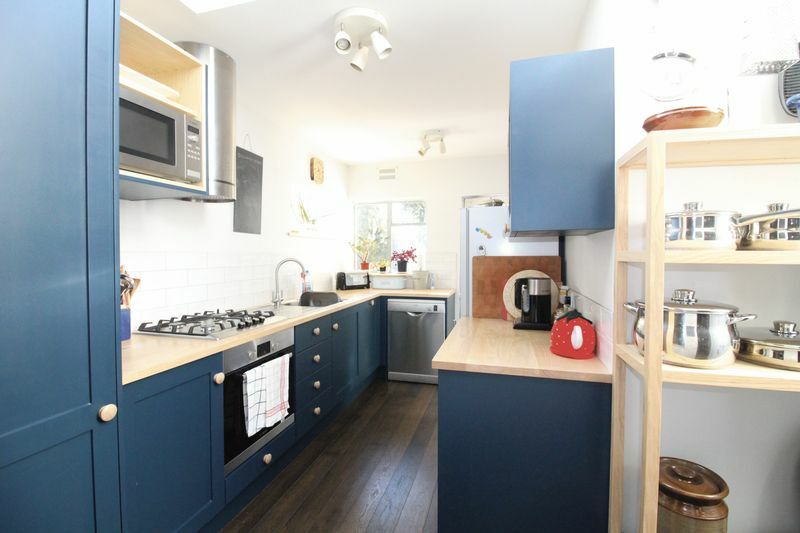 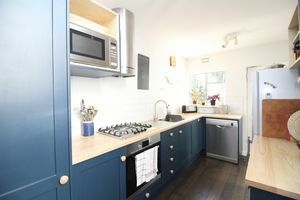 The hand built shaker style kitchen has blue painted wooden base and wall units and solid ash worktops with space and plumbing for all appliances. 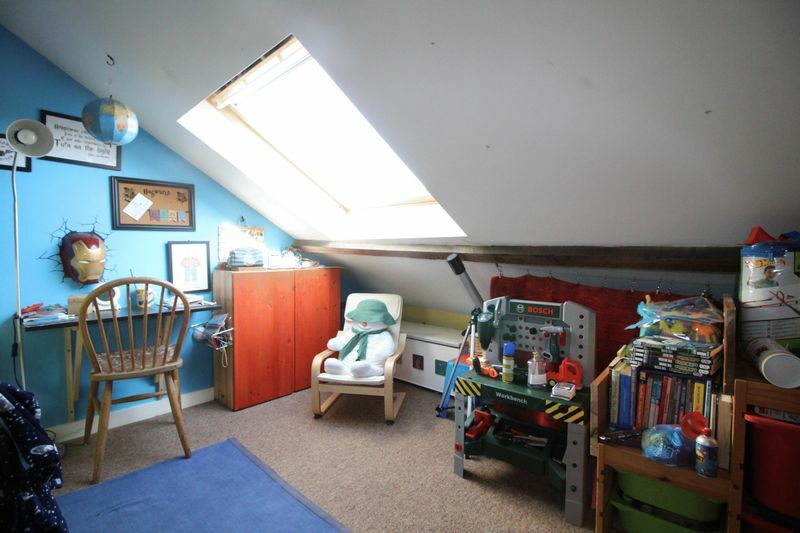 There is also a further storage cupboard housing a Vaillant gas combination boiler. 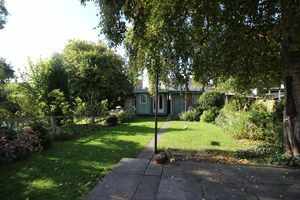 A rear porch is then accessed from the kitchen, leading out to the garden. 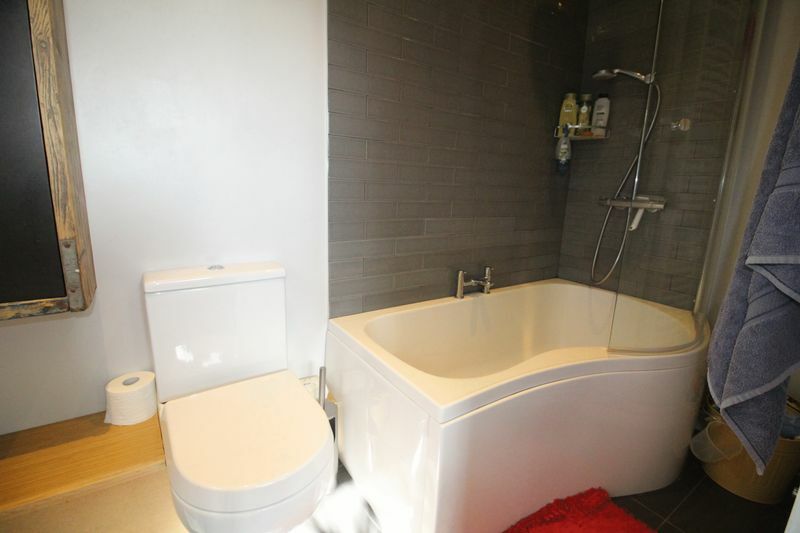 The modern bathroom consists of modern tiling, large p-shaped bath with curved shower screen and mains fed shower. 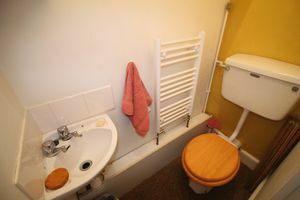 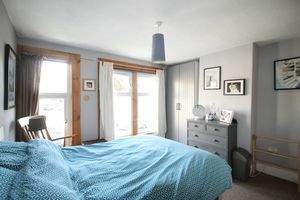 The first-floor houses two bedrooms, the master with walk-in wardrobe and the second bedroom with its own WC and wash-hand basin en-suite facilities. 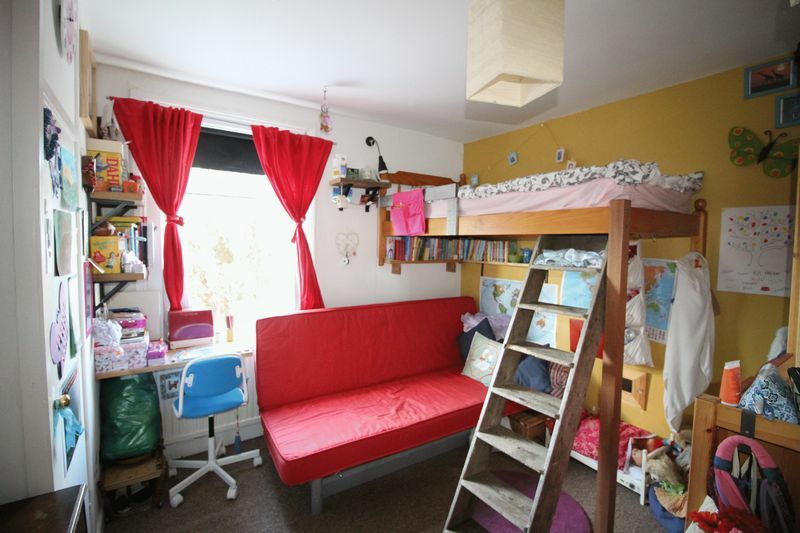 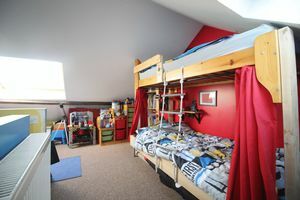 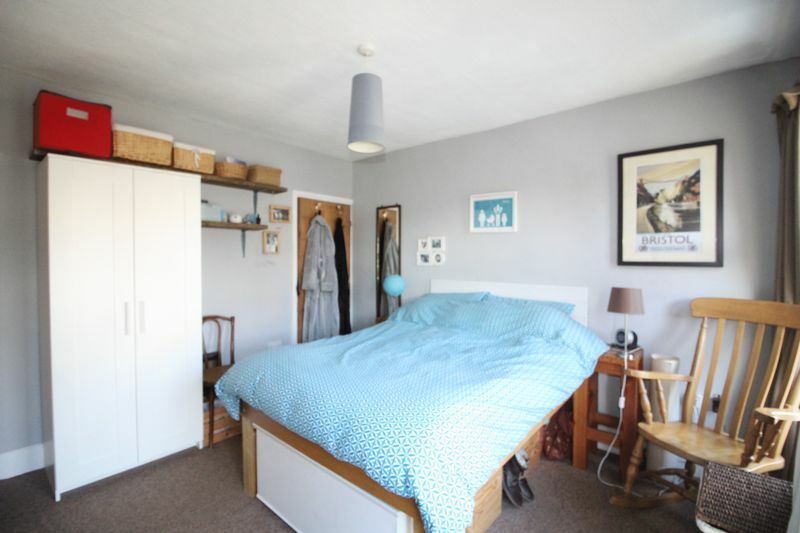 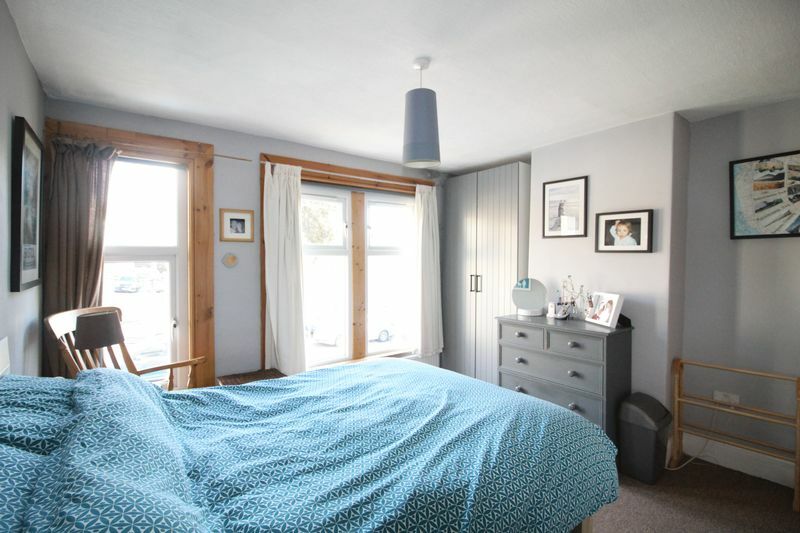 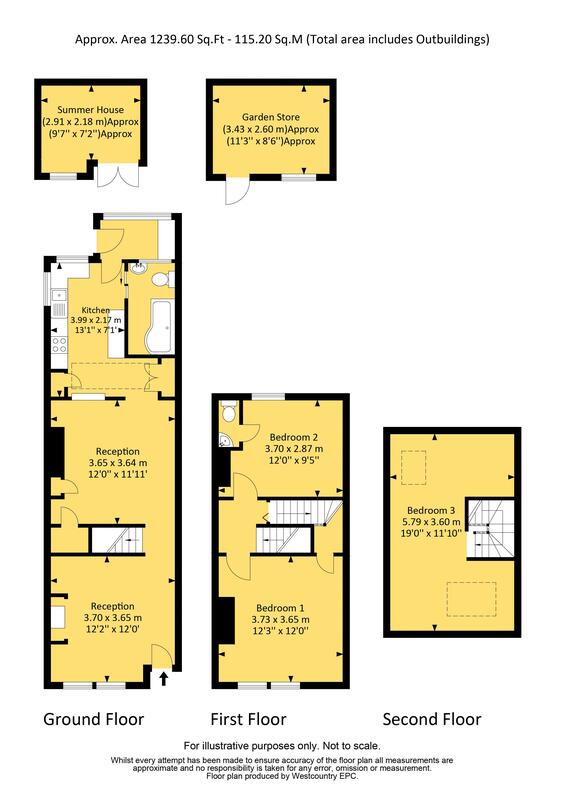 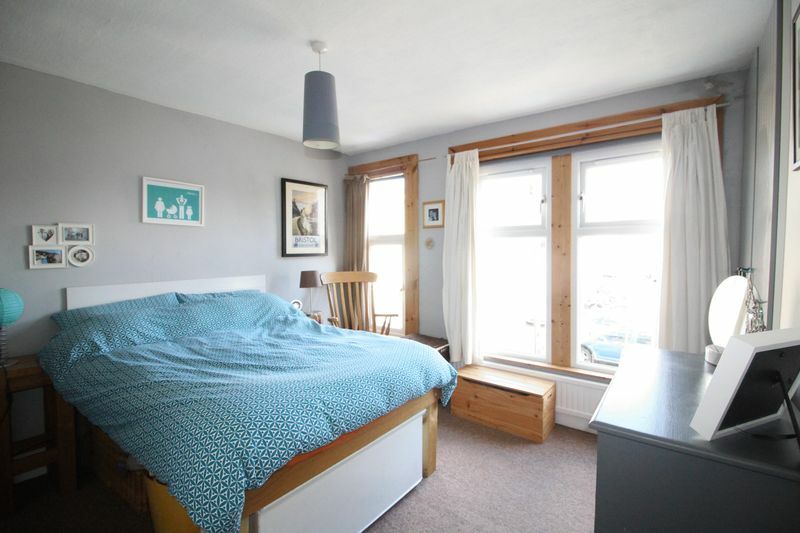 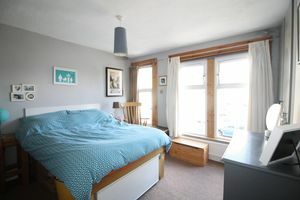 The third bedroom is in the converted loft space with velux windows and spacious eaves storage.